Helen (the chestnut) and her friend, Zara. 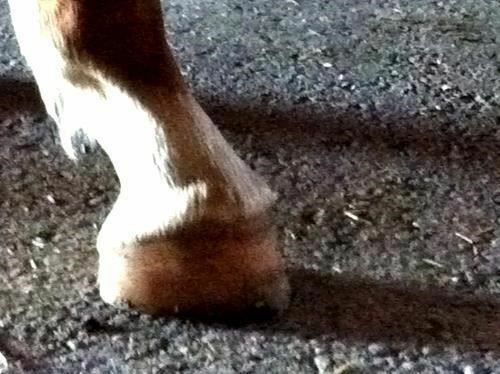 So… Helen, the beautiful chestnut yearling filly out of Loula, has developed a very nasty club foot. The vet did surgery on her today to cut the inferior check ligament. This is meant to release some of the tension at the back of her lower leg and allow the heel to drop into a more normal position. Helen was really quite well behaved both before and after the surgery. She was pretty interested in the x-ray machine. We brought Wise Affair (Weezy) in to keep her company at first. But that bad old horse had about ten minutes of patience in her and then she started screaming bloody murder… “I am TRAPPED in here! I must go out!!! Must go out NOOOOOOWWWWWW!!! Dammit!!! !” Yeesh. Just like her mama, Exclusive. We turned Helen around so she wouldn’t notice the mare leaving, and I jogged back down to the gate with Weezy (who was snorting and dragging me the whole way, highly indignant that I’d interrupted her busy and very important schedule). Luckily Helen really didn’t seem concerned about losing her friend. Helen – before surgery… having a look at the x-ray machine. She stood really nicely for the vet to take x-rays of the foot to make sure there were no problems other than the clubbing. She does have a bit of bone loss in the coffin bone. But no breaks or other issues. While I did not have my good camera with me, I did manage to get some fairly clear photos with my cellphone. This is Dr. Martyn Potter performing the surgery. After the surgery, Dr. Potter warned us that she’d probably wake up groggy and flail around the stall alarmingly when she first got up. But she was very sensible. She staggered up and immediately had a big pee (it looked like it took a LOT of concentration to stay upright and pee at the same time, but she managed it). She didn’t flail around at all. Just drifted sideways a bit, then around in a circle until she could get her head over the stall door to look around. The leg is all bandaged up. 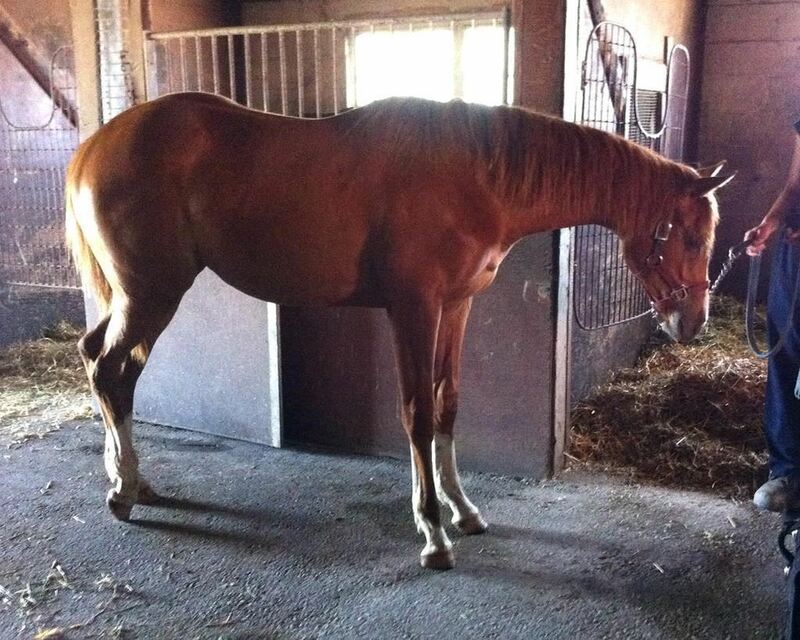 She will be able to go out in the pasture tomorrow. It’s best if she moves around on it as soon as possible to begin the process of stretching everything back to normal.